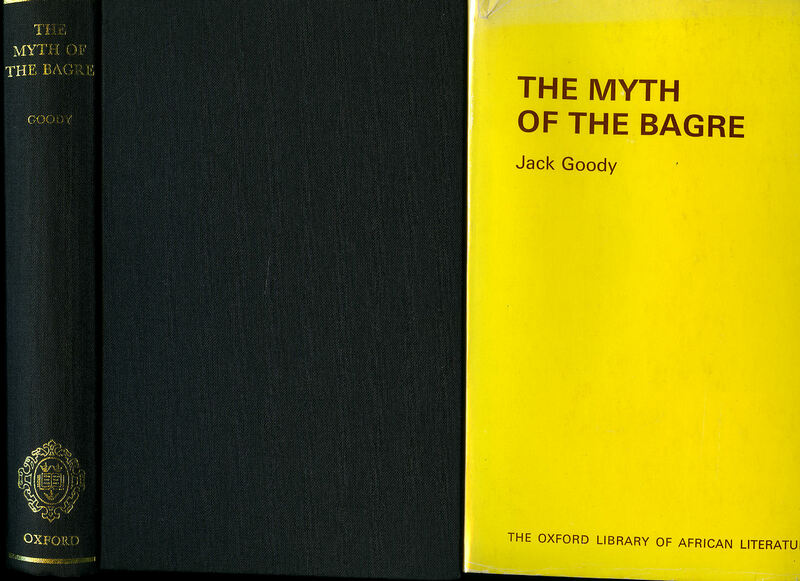 The Myth of the Bagre (The Oxford Library of African Literature Series). 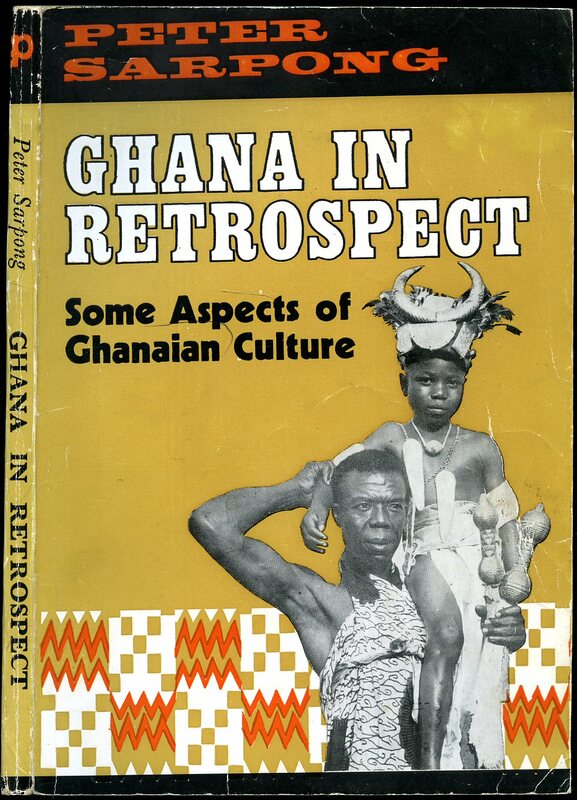 Goody, Jack [Sir John Rankine Goody, FBA (27 July 1919 - 16 July 2015) was a British social anthropologist. He was a prominent lecturer at Cambridge University, and was William Wyse Professor of Social Anthropology from 1973 to 1984]. 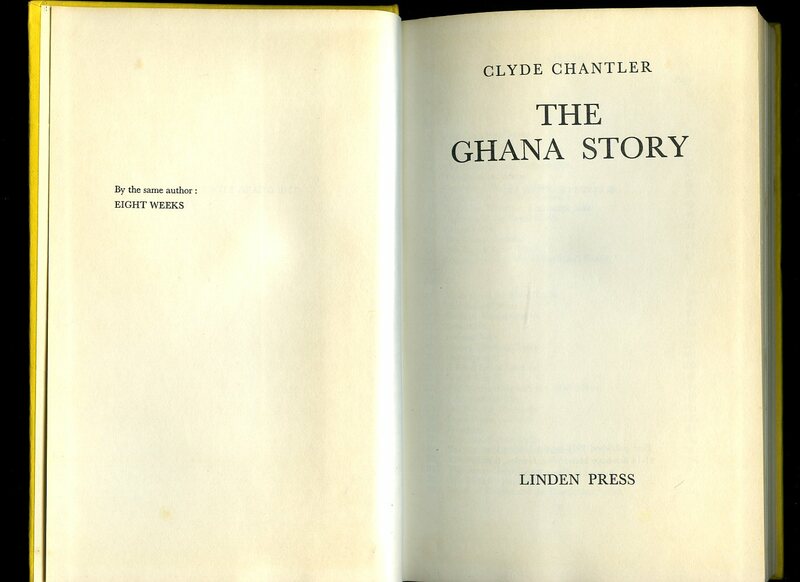 Published by Oxford Library of African Literature, Oxford | At The Clarendon Press, First Edition 1972. 1972. Publisher's original stapled white card covers. 8vo 9½'' x 6¼'' 29 pages. ISBN 9966420290. In Fine condition, unused new book, no dust wrapper as published. Member of the P.B.F.A. 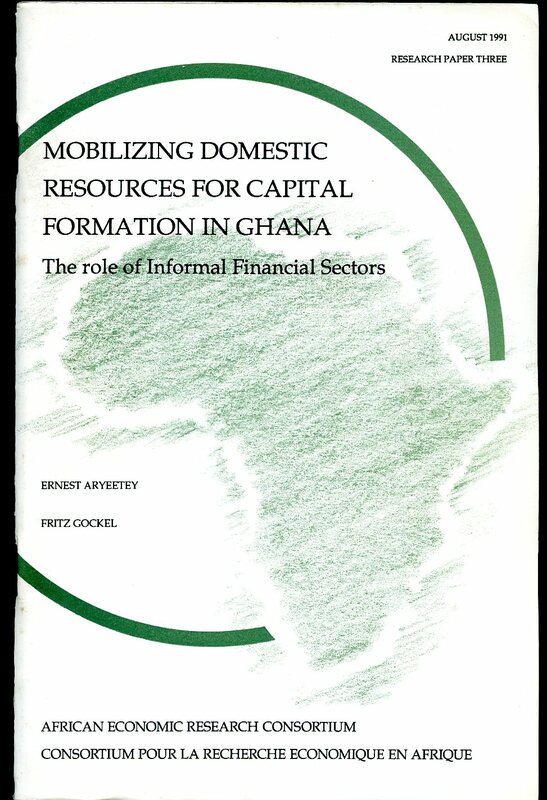 Published by Initiatives Ltd., Nairobi, Kenya August 1991. Nairobi 1991. Publisher's original stapled white card covers. 8vo 9½'' x 6¼'' 67 pages. ISBN 9966420193. In Fine condition, unused new book, no dust wrapper as published. Member of the P.B.F.A. Published by Avebury, Aldershot , Hampshire First Edition 1994. 1994. First edition hard back binding in publisher's original glazed boards. 8vo 8½'' x 5¼'' xviii, 208 [pages.] ISBN 1856285456. Small bumps to the corners and in near Fine unused condition, no dust wrapper as published. Member of the P.B.F.A. 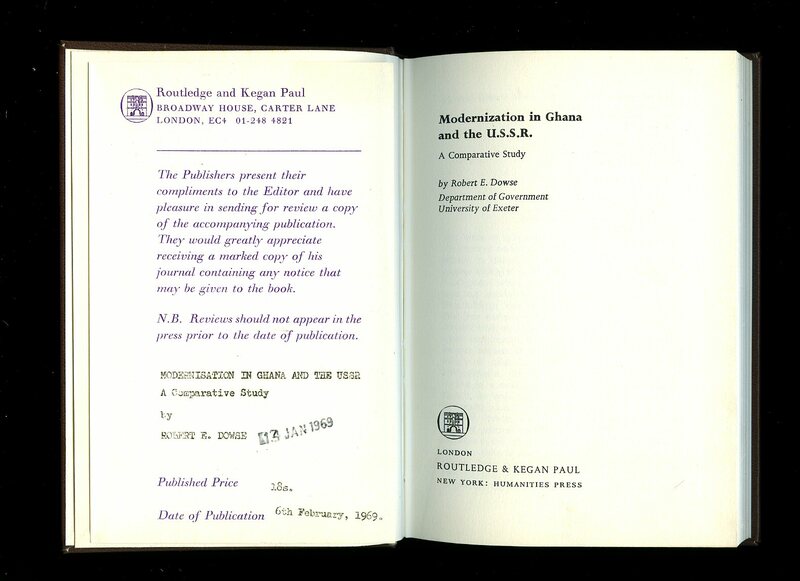 Published by Routledge & Kegan Paul, Limited, Broadway House, 68-74 Carter Lane, London First Edition 1969. London 1969. First edition hard back binding in publisher's original maroon paper covers, gilt title and author lettering to the spine. 8vo. 7½'' x 5¼''. ISBN 710061714. Contains [ix] 107 printed pages of text, Publisher's Review slip loosely enclosed and in Fine condition, no dust wrapper. Member of the P.B.F.A. Published by Linden Press, 11-14 Stanhope Mews West, London First Edition 1971. London 1971. First edition hard back binding in publisher's original lemon yellow cloth covers, black title and author lettering to the spine. 8vo. 8½'' x 5¼''. 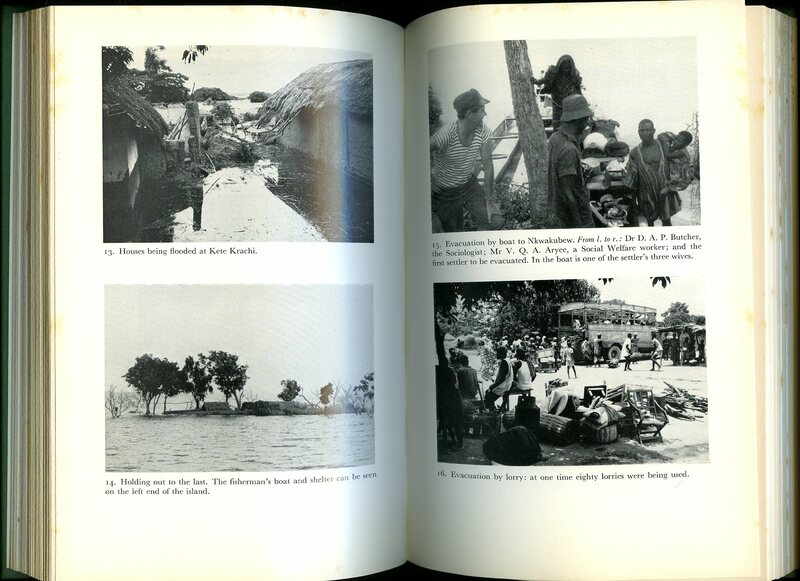 Contains [ix] 214 printed pages of text with monochrome map and photographs throughout. A few small dents to the covers, a little creasing to the spine ends, tan spotting to the upper corner of the rear free end paper and in Very Good condition, no dust wrapper. Member of the P.B.F.A. 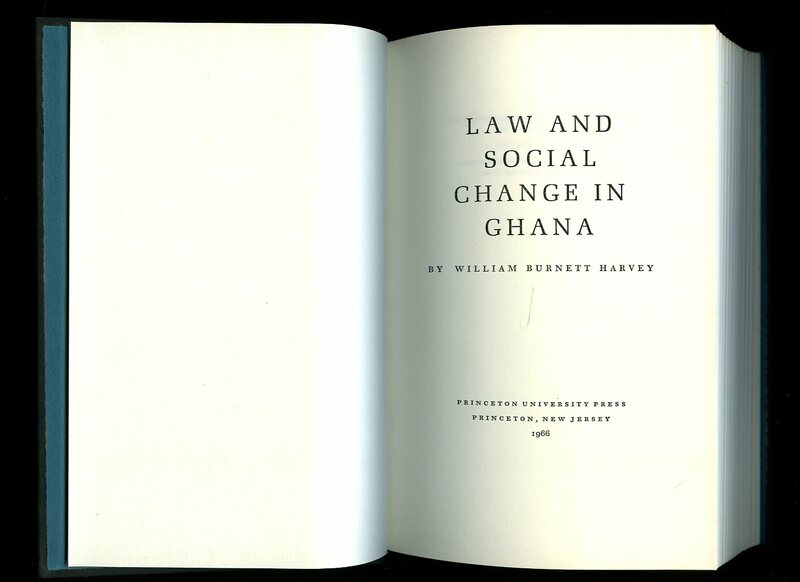 Published by Princeton University Press, Princeton, New Jersey First Edition 1966. New Jersey 1966. First edition hard back binding in publisher's original black cloth covers, gilt title and author lettering to the spine. 8vo. 8½'' x 5¼''. Contains [xiii] 453 printed pages of text, kingfisher end papers. Very little wear to the covers and in Very Good condition, no dust wrapper. Member of the P.B.F.A. 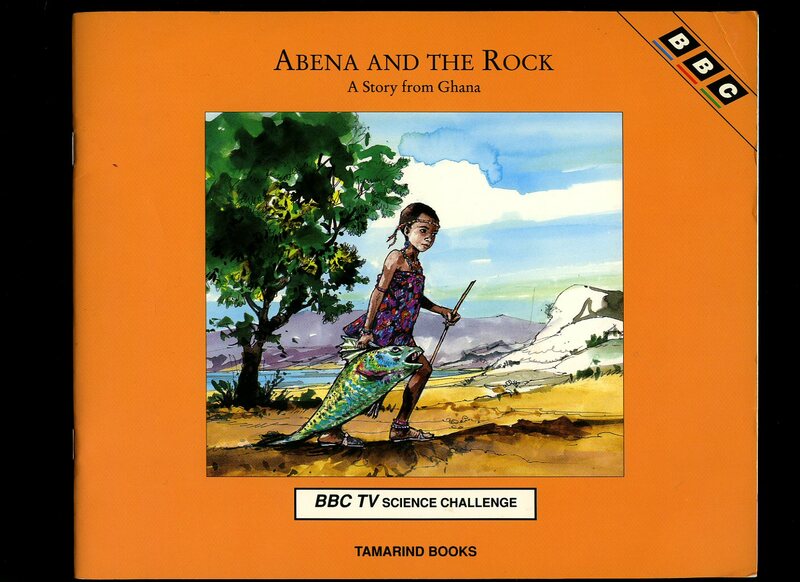 Published by Tamarind Ltd., Camberley, Surrey First Edition 1991. Camberley 1991. First edition in publisher's original colour illustrated card wrap covers. Landscape 8½'' x 10''. 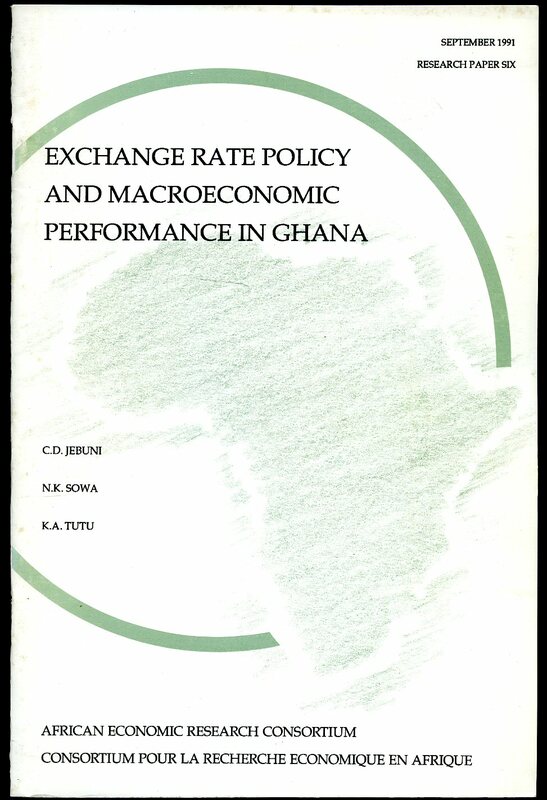 ISBN 1870516087. Contains 24 printed pages of text with colour illustrations throughout. Without any ownership markings and in near Fine condition, no dust wrapper as published. Member of the P.B.F.A. Published by Thomas Nelson and Sons Ltd., 35-36 Paternoster Row, London First Edition 1952. London 1952. First edition hard back binding in publisher's original indigo cloth covers, gilt title and author lettering to the spine and to the front cover. Quarto 10'' x 8''. Contains 71 printed pages of text with monochrome photographs throughout with University compliment slip loosely enclosed. Tiny rubs to the spine ends and in Very Good condition, no dust wrapper. Member of the P.B.F.A. 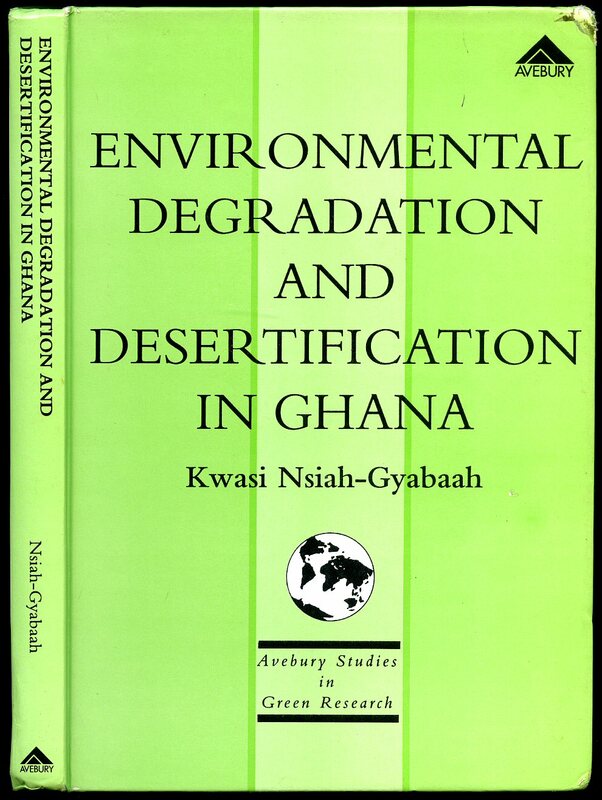 Published by Ghana Publishing Corporation Tema, Ghana First Edition 1974. Tema 1974. First edition in publisher's original illustrated card wrap covers, title and author lettering to the spine and the upper panel. 8vo. 9½'' x 6½''. Contains [viii] 134 printed pages of text with monochrome illustrations throughout. 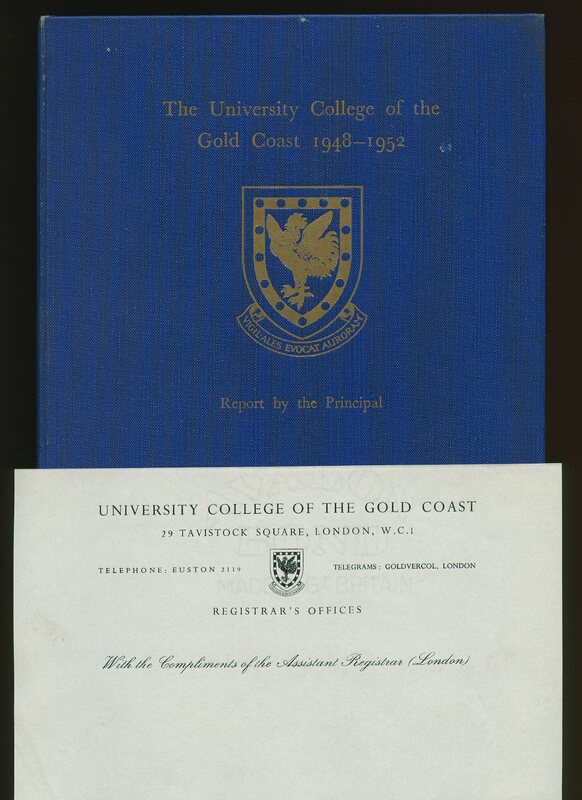 Without any ownership markings and in Very Good condition with light marks to the covers, no dust wrapper as published. Member of the P.B.F.A. Published by The Gill Publishing Co. Ltd., 3 & 4 Paul's Bakehouse Court, Godliman Street, London First Edition 1925. 1925. First edition hard back binding in publisher's original navy cloth covers, gilt title and author lettering to the spine. 8vo. 7½'' x 5¼''. 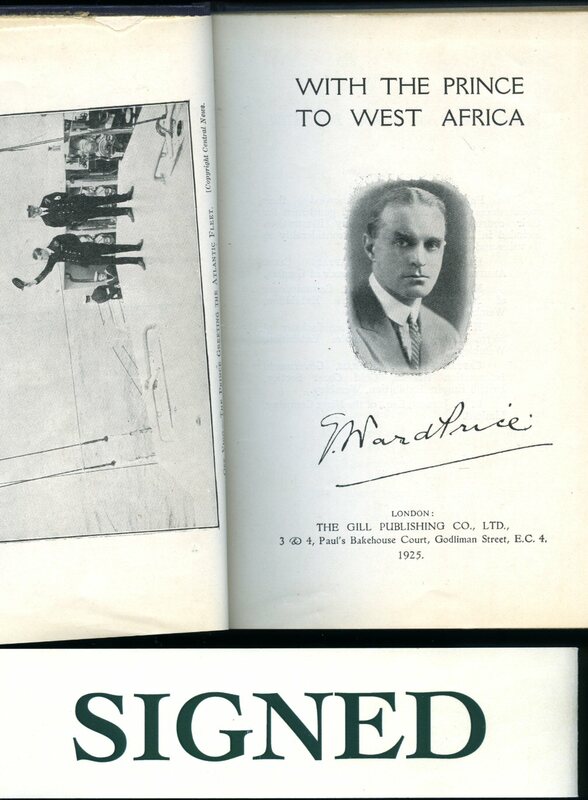 Contains 228 printed pages of text with monochrome maps and photographs throughout. Light off-setting to the end papers and in Very Good clean condition. SIGNED by the author to the title page 'G. Ward Price'. Member of the P.B.F.A. Published by Pall Mall Press Ltd., 5 Cromwell Place, London First Edition 1970. London 1970. First edition hard back binding in publisher's original leaf green paper covers, gilt title and author lettering to the spine. 8vo. 9'' x 6''. ISBN 269025979. Contains [xvi] 286 printed pages of text with monochrome photographs, charts and maps throughout. A little sun fading to the upper and lower edges, foxing to the closed page edges and in Very Good condition, no dust wrapper. Member of the P.B.F.A. 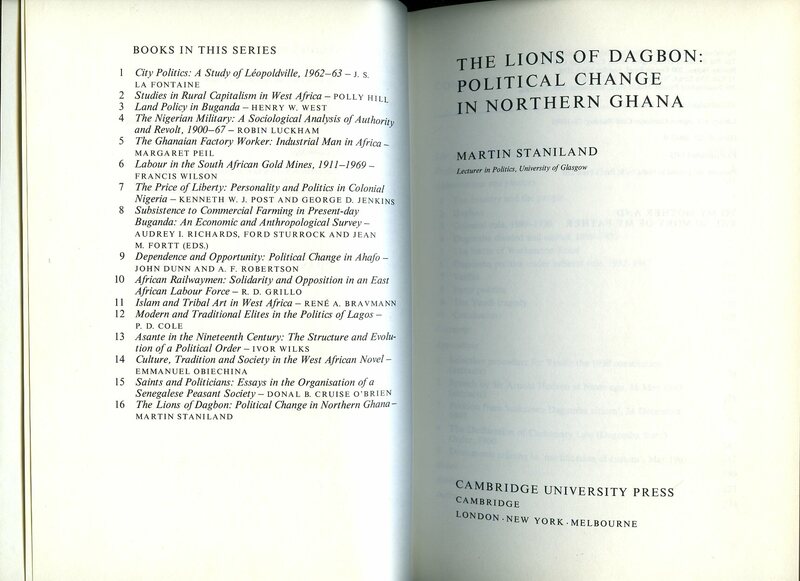 Published by Cambridge at the University Press First Edition 1975. London 1975. First edition hard back binding in publisher's original chocolate paper covers, gilt title and author lettering to the spine. 8vo. 9'' x 6''. ISBN 0521206820. Contains [xiii] 241 printed pages of text with monochrome maps, figures and tables throughout. In near Fine condition, no dust wrapper. Member of the P.B.F.A. 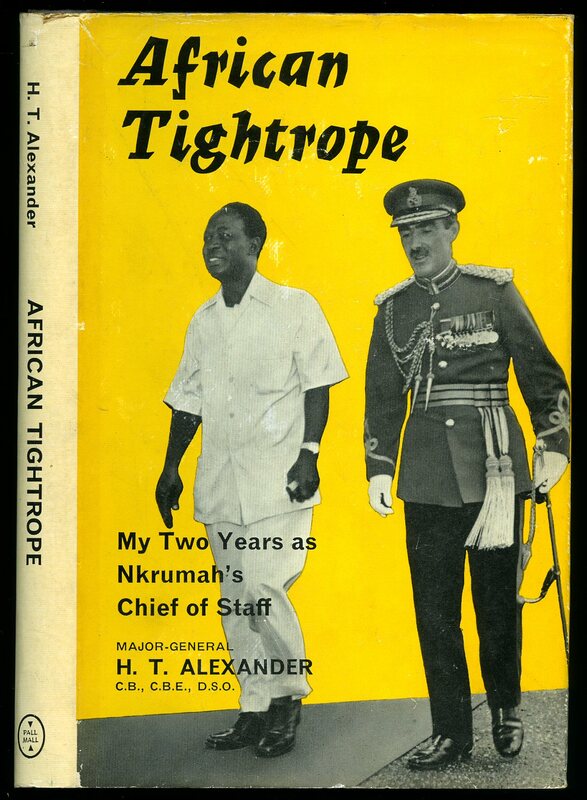 Alexander, Major General H. T.
Published by Pall Mall Press, 77-79 Charlotte Street, London First Edition 1965. London 1965. First edition hard back binding in publisher's original chocolate paper covers, gilt title and author lettering to the spine. 8vo. 9'' x 6''. Contains [xii] 152 printed pages of text with monochrome photographs throughout. Near Fine condition book, in Very Good condition photographic illustrated dust wrapper with a few shallow rubs to the edges, not price clipped 25s. Dust wrapper supplied in archive acetate film protection, this protects and prolongs the life of the paper, it is not adhered to the book or to the dust wrapper. Member of the P.B.F.A.